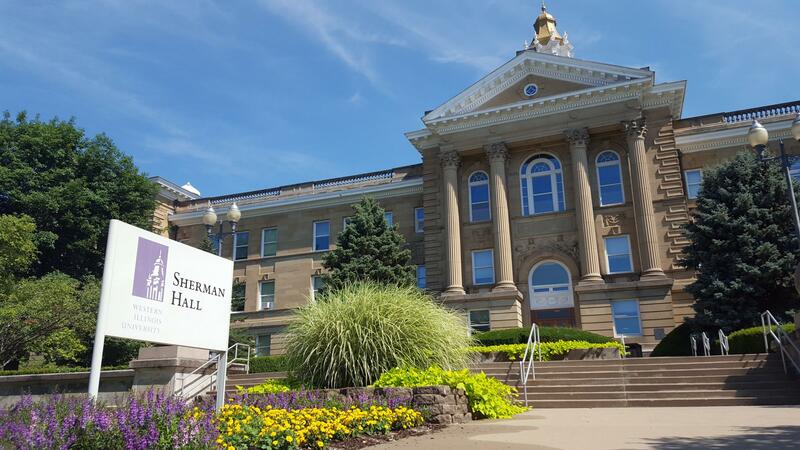 Sherman Hall is the administration building at WIU. 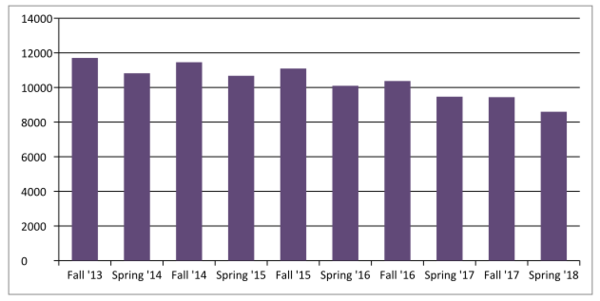 Western Illinois University has seen a sharp drop in student enrollment in recent years, which means less money coming in through tuition and fees. That, combined with decreases in state financial support – especially during the two-year state budget impasse – hurt the university's finances, leading to layoffs, furloughs, and an early retirement program. Tri States Public Radio talked to Ron Williams, Vice President for Student Services, and Jason Woods, Associate Vice President for Student Services & Interim Director of Undergraduate Admissions, on Monday, July 9, 2018 to find out what’s being done to turn around the numbers. TSPR: What are the freshmen numbers (for this fall)? Williams: We are still looking at right around 900 students or so for freshmen. But we really want to wait until tenth day (when the official headcount is done). We don’t like to throw numbers out there because we just don’t know. You never know until the tenth day. But as we are moving forward that’s what it’s looking like based on historical data. We just are looking forward to the future, trying to remain positive, and we are still in the throes of the admission cycle trying to register students. That’s where we are. And we’re focusing on new students. Freshmen are the largest part of that but if you think of it in terms of new students, we really are full speed ahead in trying to get new students into the university. So that’s incoming freshmen, transfer students, and we also have a good number of international students who have been accepted at the university and who have indicated a desire to come to the university. TSPR: What do you think Western is doing right (currently) in terms of trying to attract students? Williams: I think it’s the people at Western Illinois University. I think our academic programs are being engaged so we have faculty who are engaged, chairs, deans, associate deans, folks in the provost office, many people in student services, (many people) beyond admissions. We’re doing a lot of unique things. Even a lot of the students who are in some of our signature programs are reaching out to other students to talk about their experiences in those programs. Parents of those students are reaching out to the parents of prospective students to talk about their experiences and their successes in those programs. Western is promoting all of the great things that are happening on our campus but especially our academic programs because we believe that one of the primary reasons that students choose Western is because of the quality of the academic programs. Recently we put out that we had 100% passage rate in the NCLEX exam, which is the nursing exam for our nursing students. We talk about the passage rate for our accounting students, the awards our broadcasting students are winning, the success of our students in music and theater and dance. And so I think that’s what Western is doing right. We just are trying to focus on many of the positive things at the university. Woods: Basically admissions is just doing some amazing outreach, both internally and externally. Admissions Counselor Katy Gorsuch has been working with internal and external constituents and really promoting the work that we do here at Western Illinois University. She’s been working with faculty chair members and different departments to provide them with some of the things that students are doing. She’s been working externally at the high schools, marching in parades, just a variety of outreach initiatives. TSPR: We’ve seen a precipitous drop in enrollment numbers in recent years. What do you think Western has done wrong, or is there something you have learned from that maybe you don’t want to repeat? Williams: I don’t think it’s anything that Western has done wrong. I think it’s just challenges that the university faces. I often say on campus that this is nobody’s fault at the university, and we’re really not interested even in blaming external bodies. For a lot of universities it’s a national trend. 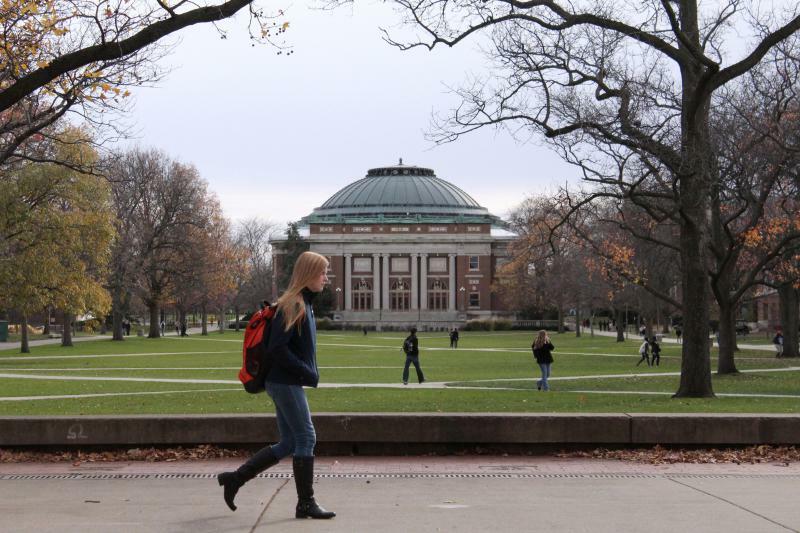 But particularly as we’re talking about the state of Illinois, there are a large number of traditional high school students who graduate and they choose out-of-state institutions for a number of reasons. And I don’t think it’s anything that Western has done or any of the other public schools. I don’t think it’s anything that we’ve done wrong. What I do think we need to focus on is what we can do to move the university forward and promote our university to students who may be thinking of going to private schools or going to institutions that are out-of-state. TSPR: Some faculty layoffs were announced a couple weeks ago. Next week there will be an announcement about a re-alignment at Western. How do you talk to prospective students about these things? Williams: Students who have enrolled at Western in recent years have really indicated to us those academic programs in which they are interested, and ideally those are the programs where there will be reinvestment. So we will continue to promote those programs, promoting the excellent university education a student can receive with respect to their general education and things of that nature. Here is a place where you can come, get a great, well-rounded education, have a great experience, and then we will prepare you for the workforce. TSPR: So will Western become more of a technical school? Williams: I don’t think Western will become more of a technical school. Western will remain a comprehensive university because we will not jettison our general education requirements, at least not for the foreseeable future from my perspective. We will remain a comprehensive university and there will be a litany of majors that students will be able to graduate with. But we have to make sure that we keep the doors of the university open and that we are reinvesting in those programs where students are choosing to take courses and to major in and earn their degrees. TSPR: I get the feeling the administration thinks there’s a lot of negative press out there about Western. Do you hear that from prospective students and how do you address that? Woods: Everything can impact enrollment. Regardless of what people think, or sometimes what people hear, it can impact them. So we just address them when we receive questions or concerns that people might have. 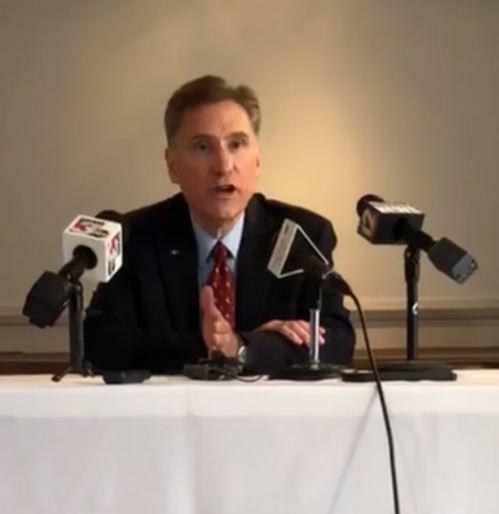 SIU Trustees will meet in special session Monday to vote on a separation agreement for System President Randy Dunn. The University of Illinois' new medical school is set to open its doors with its first class of 32 students. The News-Gazette reports the Carle Illinois College of Medicine will kick off a weeklong orientation for students on Monday. There will be a welcome from Dean King Li, campus tours and a barbeque before studies begin. "It's getting real," said Andrea Jake, director of student affairs. Gov. 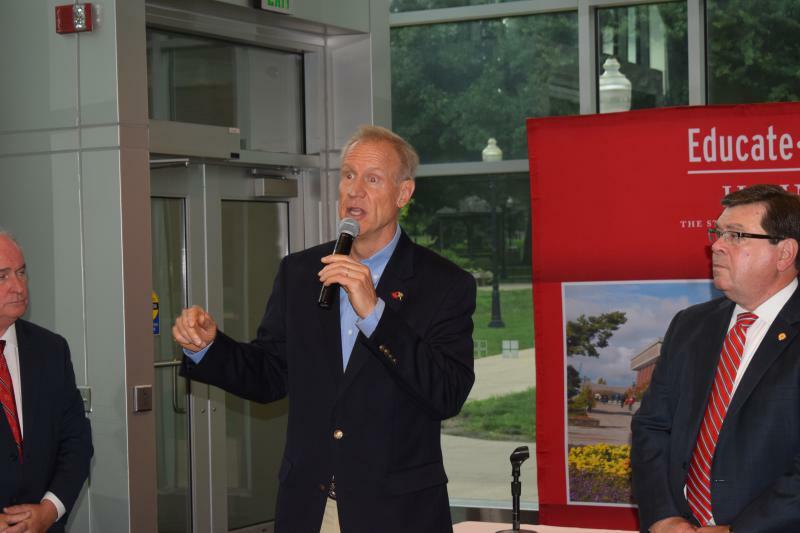 Bruce Rauner on Thursday toured Illinois State University's aging Fine Arts complex, where nearly $6 million has been sunk into maintenance and short-term repairs.